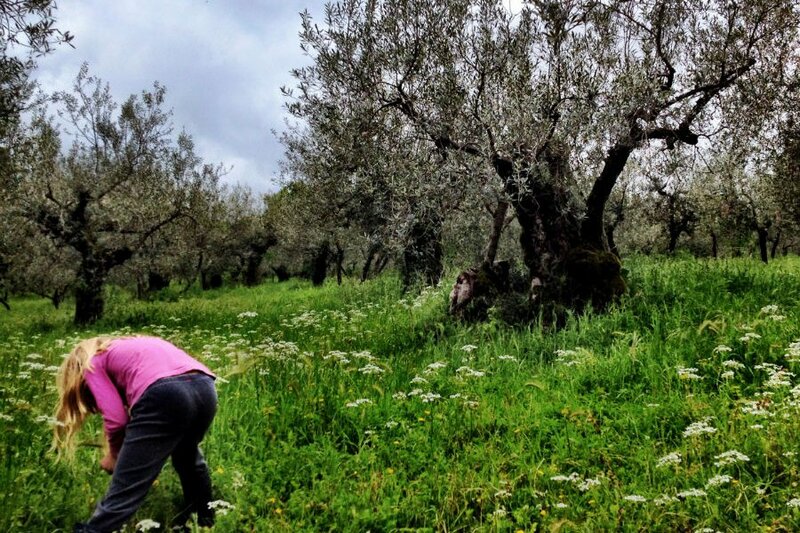 Did This Man Find the Best Olive Oil in Italy? Sorrel hunting wild flowers while her father hunts olives. All photos by Jason Gibb. 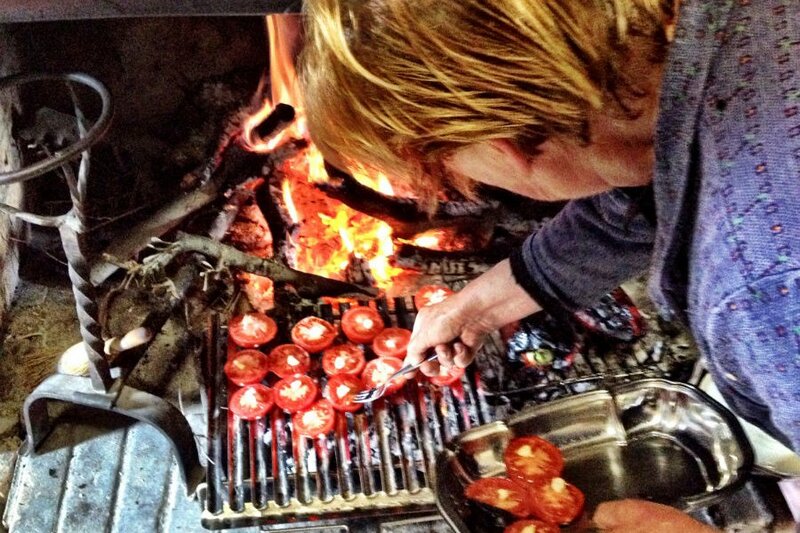 Nudo olive oil founder Jason Gibb is always hard at work. He dug through the honey-and-egg-white-covered in Sicily. He after inspiration from a tweet from London and a visit to a northern Italian patisserie. 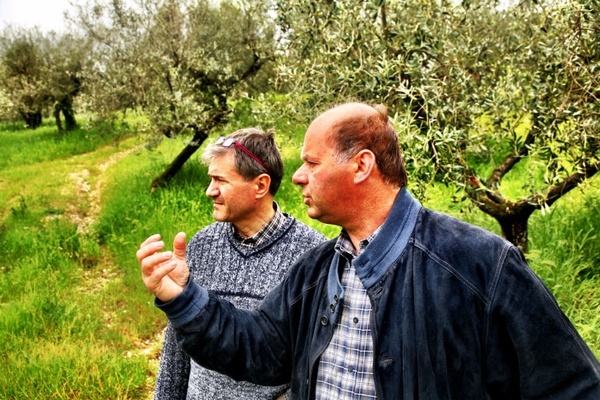 On a recent adventure, Jason and his olive sleuth Corrado head to Umbria to "inspect" a proud farmer's prized crop. 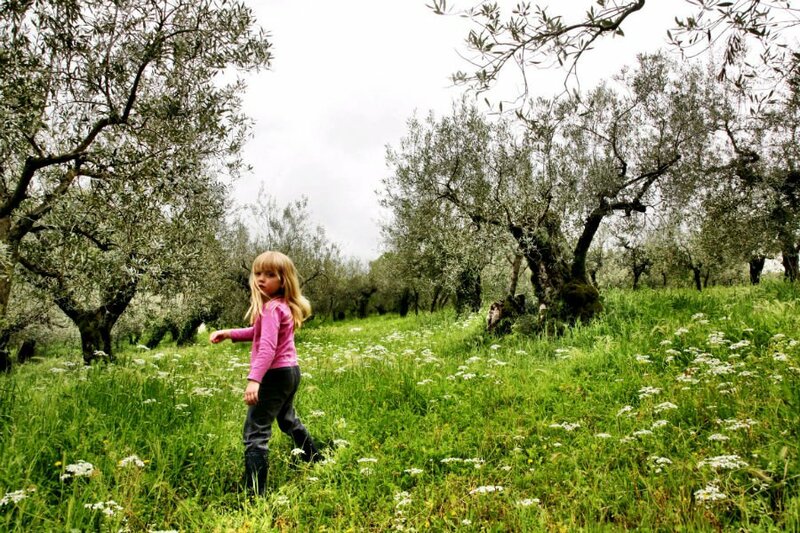 UMBRIA, Italy – Not all olive oils are equal. I am a small producer of olive oil. I don't mean I have trouble seeing over a shop counter, I mean that I make just a limited quantity of highest quality extra virgin olive oil. I also spend a good deal of time hunting out other high quality olive oils from around Italy to bring to the UK and USA. Think of me as a gastronomic version of Inspector Poirot. It's a wonderful job, as you can imagine, but also quite a challenge. Not least because every Italian olive oil producer I have ever met has assured me, with a convivial but determined smile, that his or her oil is the best in the world. Whether it's the superior soil, the unique microclimate, or something magical they put in the water, they will look me straight in the eye and tell me that their olive oil is without equal. 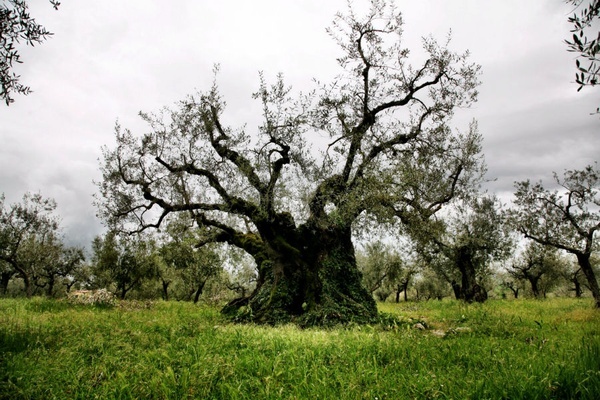 The olive tree of Macciano. The crop that called Jason to Umbria. So it was with a certain caution that I took a call from Marzio Bartolani, an oil producer from Umbria in central Italy. He told me he had a crop of exceptional quality, and that I should come and taste the oil. Corrado, my miller and fellow olive sleuth, assured me that Marzio wasn't generally prone to exaggeration and that it would be worth taking the trip from our home base in Le Marche on the east coast into Umbria in central Italy. And so early one Saturday morning Corrado, my daughter Sorrel, and I set off on the twisting rollercoaster drive through the stunning Parco Nazionale dei Monti Sibilini. 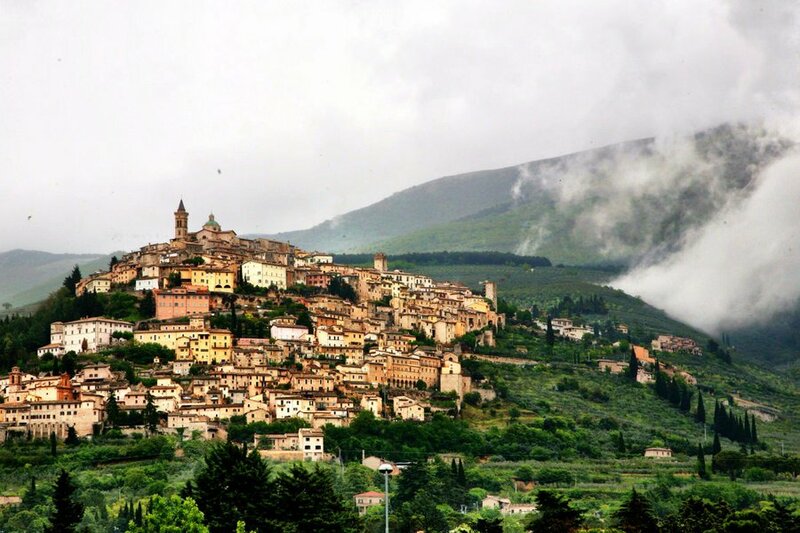 Once over the Sibilini mountains, we headed towards the tiny village of Macciano and our soon-to-be-friend Marzio. 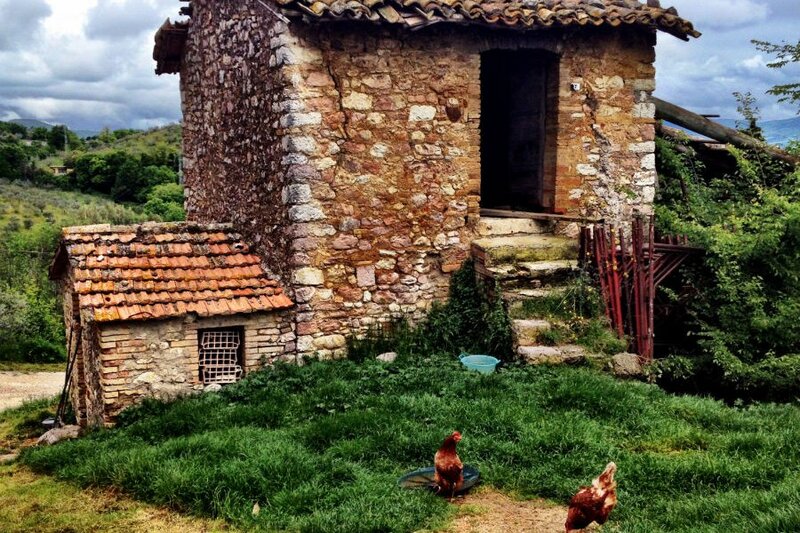 Marzio comes from a long line of Umbrian farmers. 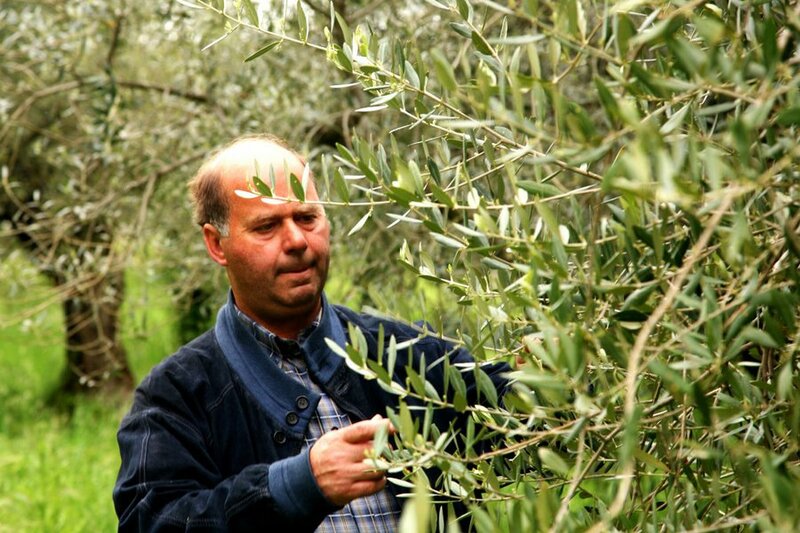 He produces grain, orzo, and grapes, as well as his beloved olive oil. His grove was originally bought by his grandfather, who was also named Marzio, on the occasion of his marriage. On arrival at his grove, we soon discovered that what the family lacked in coming up with original first names they more than made up for with their eye for great land. 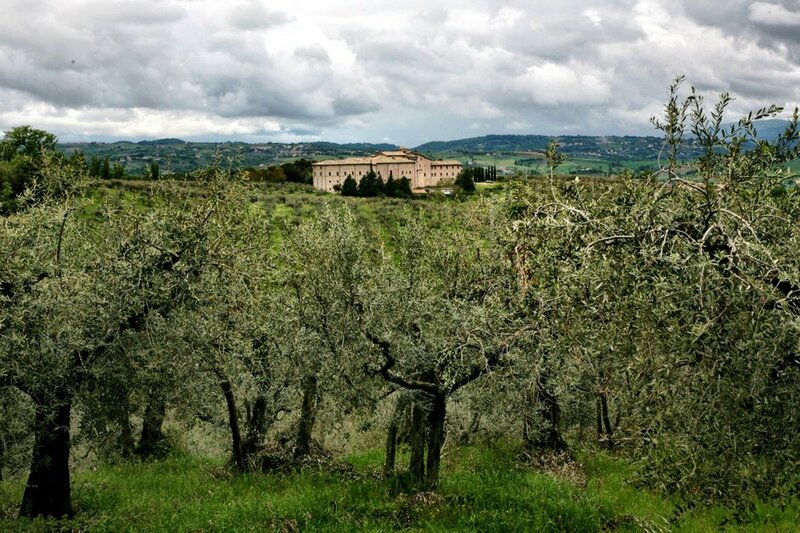 Not only is his hillside olive grove rich and fertile, but it also has spectacular views of the 11th-century monastery of San Felice. Marzio explained that today the huge monastery is inhabited by only three priests who are part of the Congregation of the Most Precious Blood, which sounds rather intense. The monastery has a checkered past: The Augustinian monks who used to live there had to be thrown out for the ominously unspecific crime of "ungodly behavior" and the all-too-specific one of "tax fraud." But the views are lovely. After the grand tour of the grove, during which Sorrel collected at least twenty different wild flowers, Marzio insisted we head back to his farm house. 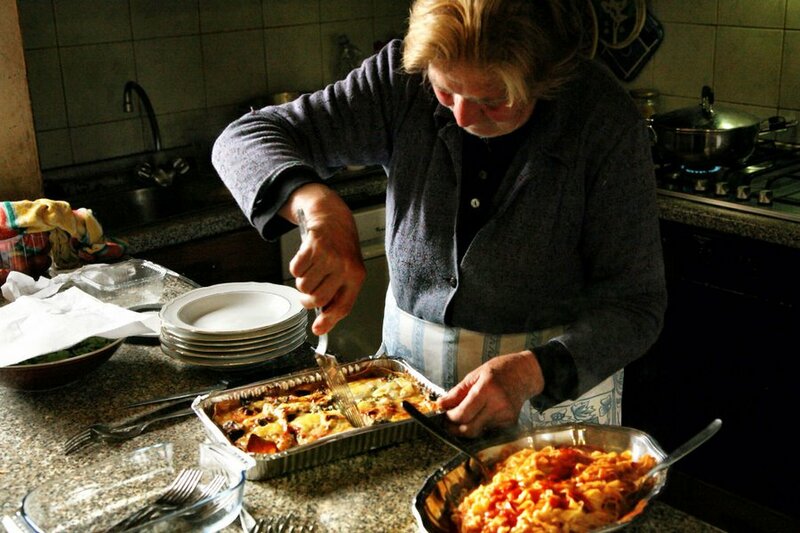 Like any self-respecting middle-aged Italian olive farmer, he knew that the only way to truly appreciate his olive oil was to have it cooked into a feast by his mother. 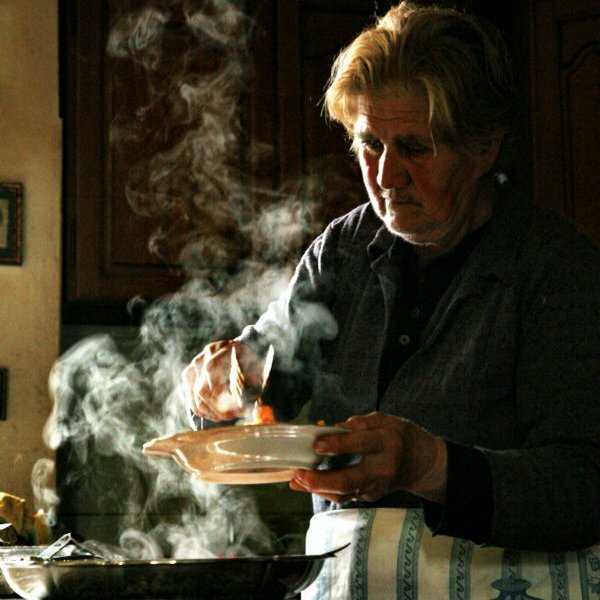 I was inclined to agree as I watched Caterina pour the perfumey oil over fire-roasted tomatoes, into pasta and bean soup with saffron, and over pasta. The final result was sublime deliciousness. The meal was coming to a close. I don't know whether it was the oil, the cooking, the monastery, the bottle of home-made grechetto, or some Umbrian magic in the combination, but we all declared the trip a success and shook hands on a deal. Monestery-gazing from in between olive sprigs. 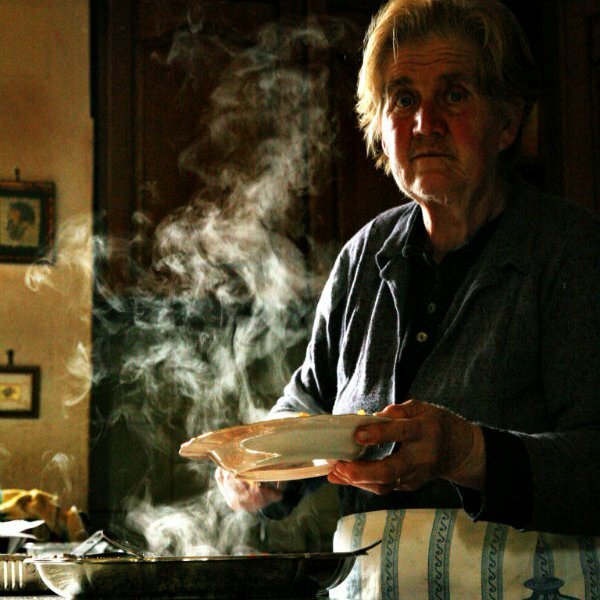 Present-day caretaker of the Umbrian olive estate. In the family for generations. 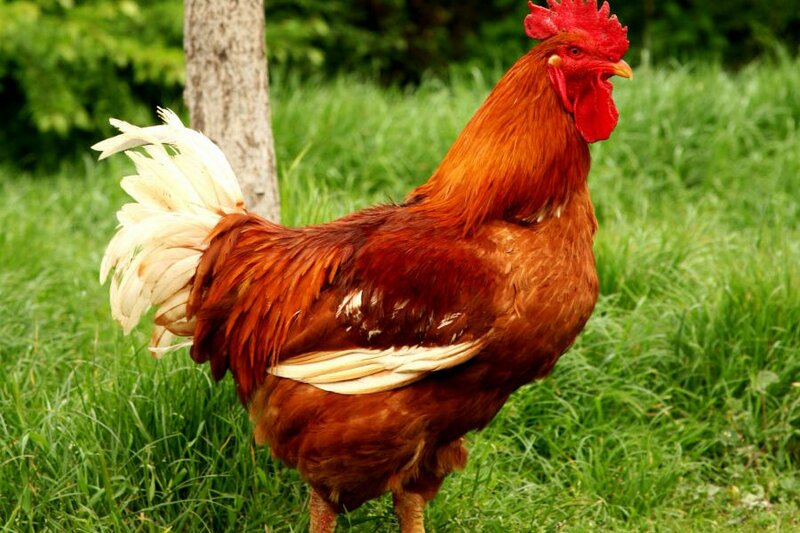 Local color from a well-crested friend. Caterina preparing a good crop. 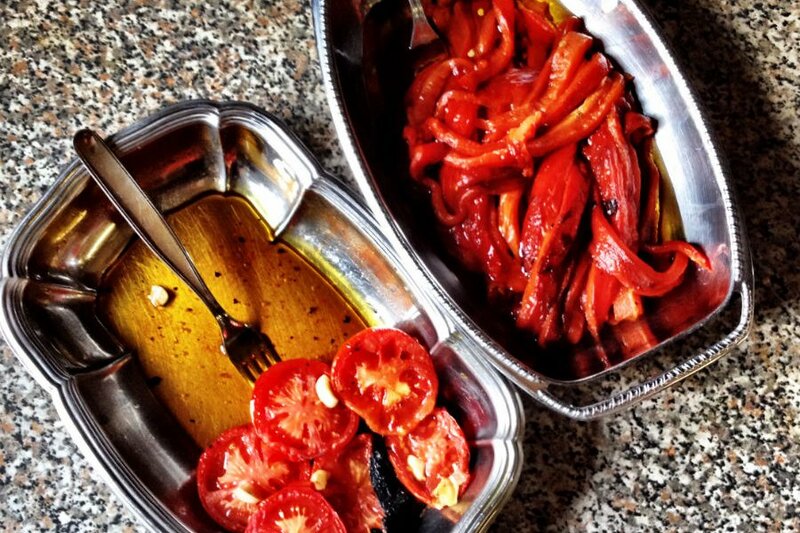 La donna knows how to showcase her olive oil. A meal on everyone's bucket list. Pulled fresh from the fire. 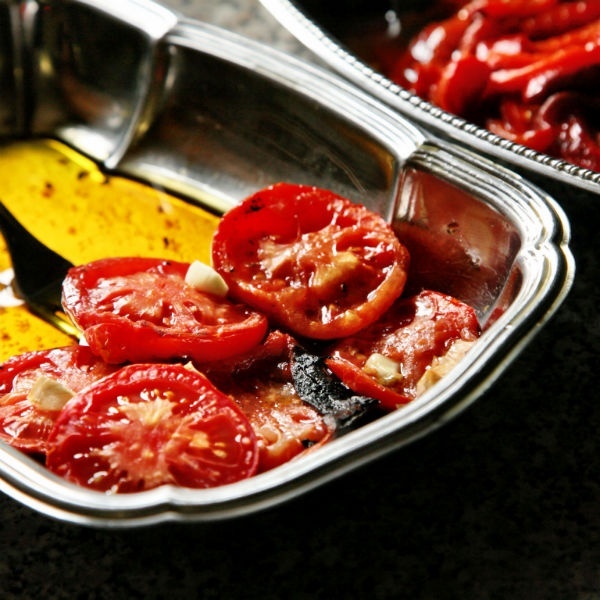 Drizzled in fresh olive oil. Don't stare too long. Jason is an Italian . He travels for the taste sensation of a new place. У нашей компании авторитетный web-сайт с информацией про плечо форекс. Был найден мной классный web-сайт , он рассказывает про plasticsurgery.com.ua.